I can't remember the last time i played cricket. 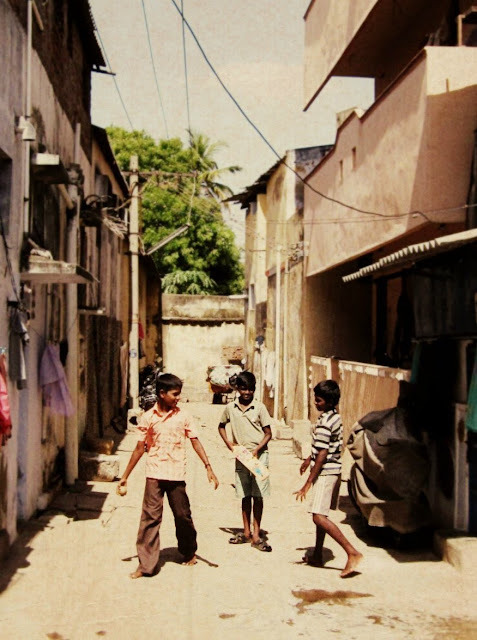 We used to play outside the porch in Kerala, on the short concrete driveway. House rules of course, born out of the lack of space and the need to make it competitive. And then one day when we weren't around, the potted plants took over. Ah well. Went visiting one of Andy's colleagues in Trichy, and saw these kids playing outside. Holding onto that spirit of playing come rain or shine, even after we get into jobs and 'grown up' responsibilities, has got to be some kind of art-form.